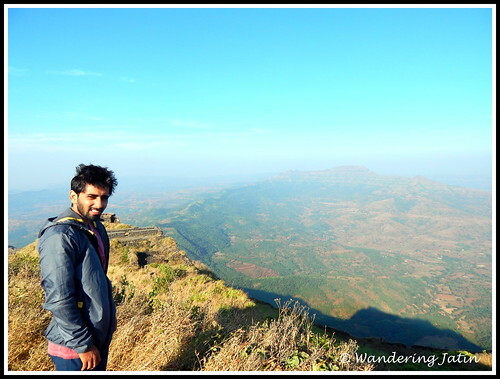 Recap: In the last episode, I shared our trekking and camping experiences at Rajgad Fort where one of my friends had a sip of Kerosene as water is too mainstream! After the most comfortable night camping, the unzipping of the tents flooded our tents with the Sunlight and our faces with happiness. My suggestion to pitch the tents facing East worked perfectly. The Sun had worked its way from the deep valley below and now provided us the soft heat while the chilly winds still gave the goosebumps. 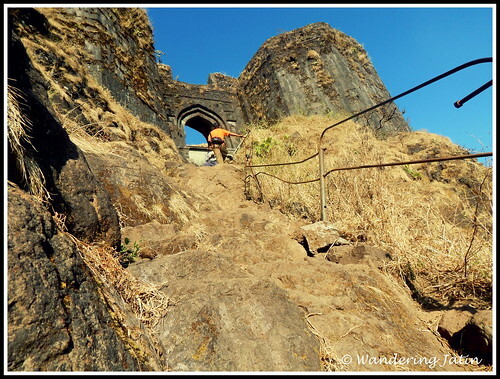 Majority had ditched the idea of trekking to Torna Fort the previous night only and hence, we took our time in waking up and walking around and enjoying the views. 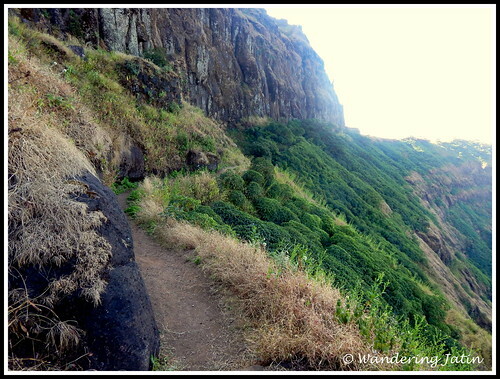 But then, Ayush expressed a desire to continue per the original plan, and trek up till Torna Fort. We were a little late to start for Torna then but the adrenaline took over. 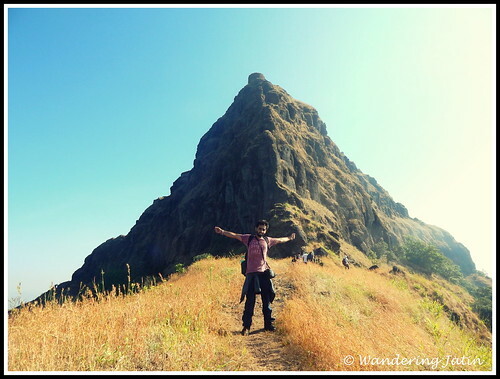 Knowing that the trek down from Rajgad was comparatively simpler, I confirmed from the group, handed leadership to other experienced fellows, and decided to go ahead towards Torna. 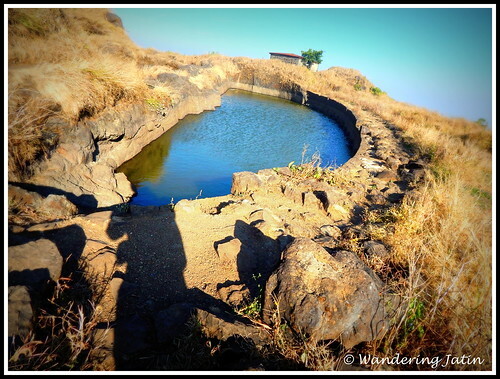 While others were still lazying around and engaging in tummy cleansing rituals, Ayush and I left for the Baalle Killa, the highest point at Rajgad Fort. As it was the only 2 of us now, we conquered the highest point in a (possibly) record time ! The narrow, curved and steep steps were challenging but inviting too. 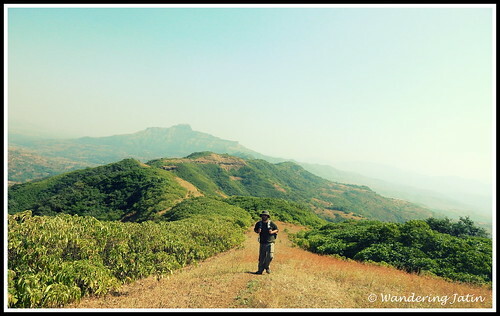 After soaking in the beautiful views of the valley from up there, and being fascinated by the markets which used to be set-up up there, we trekked down to leave for Torna. I applied some cotton on my blistered feet from the previous day, arranged some water, minimal supplies and continued. We had started much later compared to the ideal time, and made Godspeed after leaving the group. 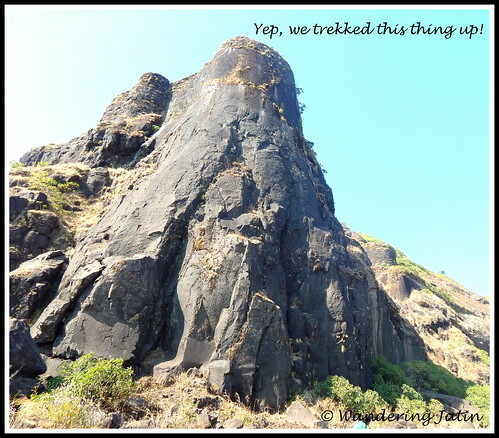 Similar sized and much lighter, the two of us were almost running the trail towards Torna for an hour and half after which too the pace was maintained. Unaware of the trail and lack of a single human being on the trail, we both were following the route map the caretaker had given us. We picked up trails by guesswork at times and at other times, made a trail when there were none. Few hours later, we were on top of mountains, walking on the ridges, going up and down the mountain tops one by one. When the distance that was yet to be covered haunted us, we impressed ourselves by noting the distance we had covered in a few hours. 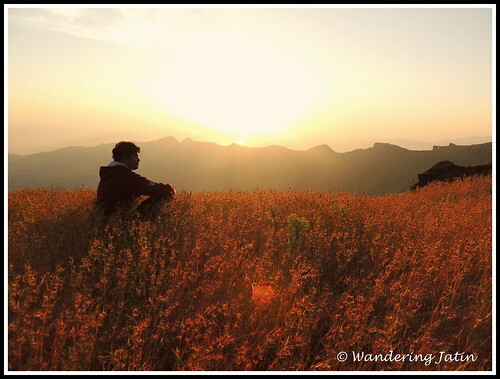 We had lost the count of mountain ridges we had crossed, and whenever we pondered over the daunting task ahead of us, the thought of missing our train that was to leave in the evening restored us to sanity. But let me tell you, up there, all alone, standing on top of the mountains, and walking on the ridges, it was a calm yet thrilling experience. After almost 6 hours of ridge walking, we came across a mountain which went vertically upwards in front of us. 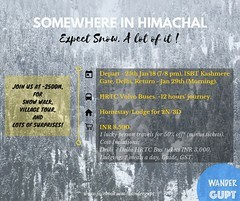 Cameras packed inside the bags, we trekked up some of the most difficult patches which make me shiver even now. Alone somewhere, the 2 of us gave confidence to each other when the loose ground gave in below us and ‘almost‘ threatened our lives! From somewhere came a guy and guided us for the last stretch into Torna fort, where the hallucinated me crashed for a while! 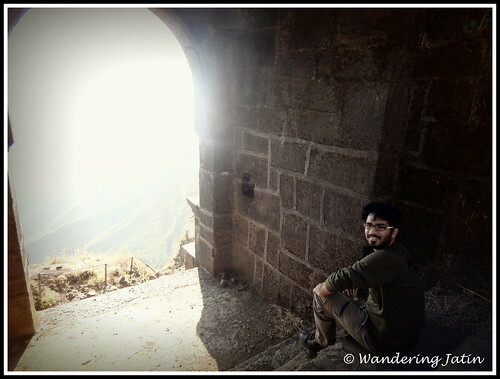 Torna Fort was the first fort captured by Shivaji and provided for some great splendid views of Sahyadris. 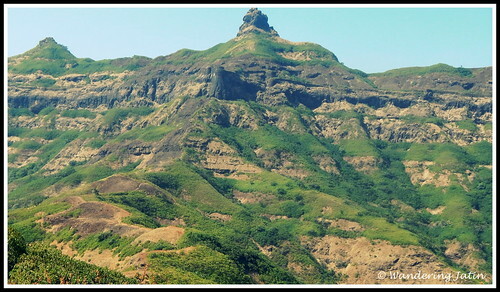 Rajgad fort was visible from here and must have exposed the entire trail of the enemies, once upon a time, if they had ever tried. 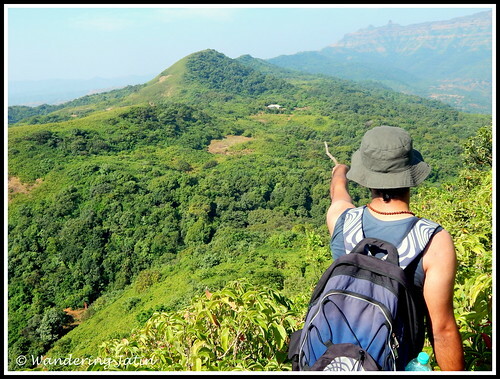 If you’re trekking up here from Rajgad, start early and estimate 6 – 7 hours of trekking, and wear shoes with good grips (which are not new!). With the only aim of catching the train, we ran down the entire trail asking the students out on their school trip to make way. I had removed only one shoe when Ayush got us into a crowded cab to some place. Once out of the cab, I had still not removed the other shoe when we ran to catch a bus! We ditched the bus once it entered the city traffic to catch an auto which dropped us in front of an under bridge saying, “the other side of this is located what you seek – platform no. One”, to which we ran shouting, to be given way and boarded the train to finally join our folks! Hahh! Who came up with the idea of building those forts up there anyway? 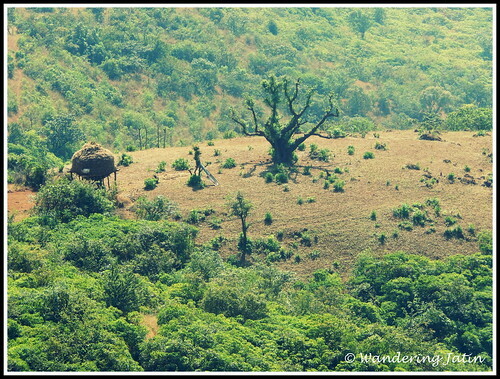 Wildlife safari in Kawal Tiger Reserve – on my bike! Trekking and camping along the Railway Track at Dudhsagar Waterfalls. Must have been so exciting!! That was very daring on your part to attempt conquering the fort. 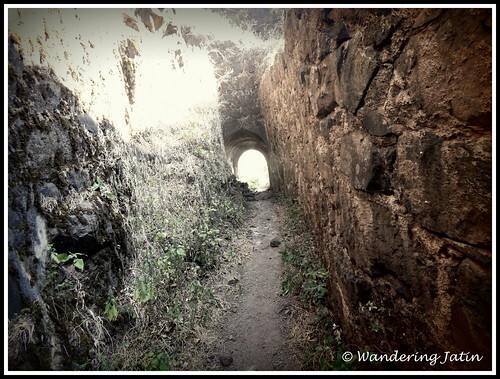 I too wonder sometimes how the kings then got idea to build a fort up in the hill. How did they construct it?